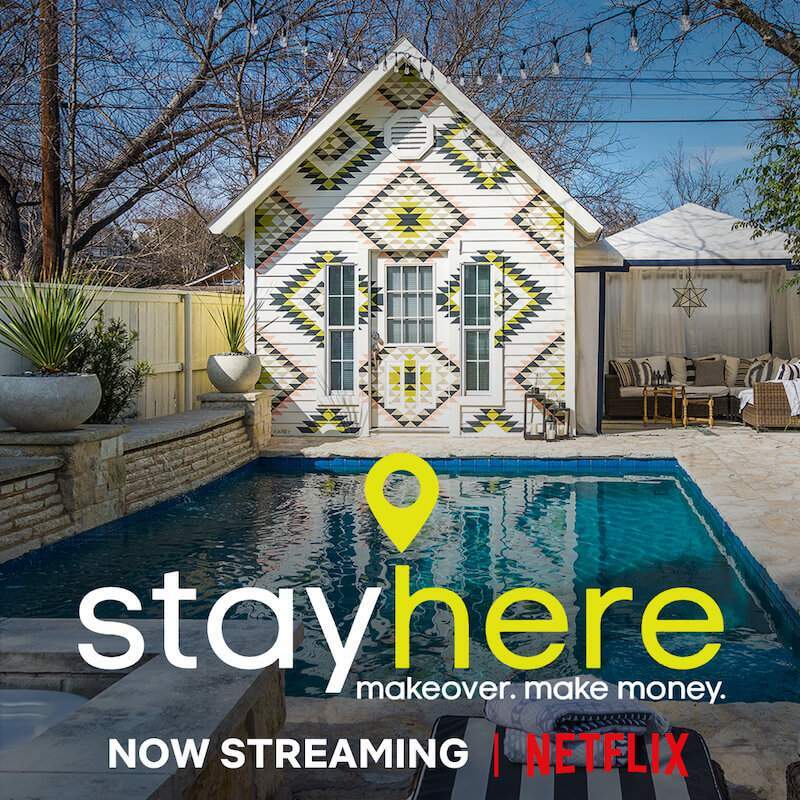 ‘Stay Here’ features designer Genevieve Gorder and real estate expert Peter Lorimer who show property owners how to turn their short-term rentals into moneymaking showstoppers. The designer duo tackles a Seattle Houseboat, a Brooklyn Brownstone, Paso Robles Wine County Cottage and more! Be sure to check out episode 5, set in Paso Robles wine country! A couple turns their dated vineyard cottage into an upmarket rental for destination weddings, unique experiences and elegant outdoor living.